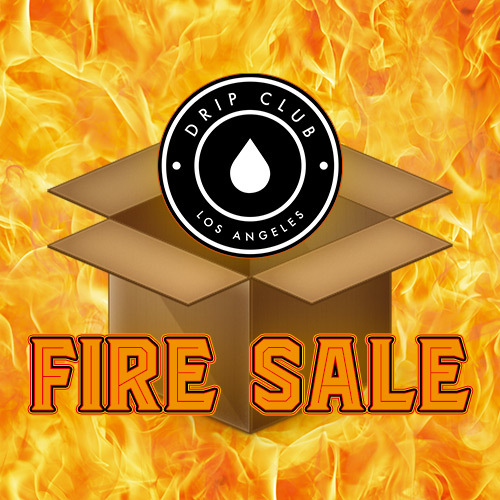 Drip Club is excited to introduce our Fire Sale Bundle! Receive 200mL of juice starting at $19.95! These bundles include a variety of our clearance shelf items. Order yours today! 200mL 0MG for only $19.95! 200mL 3MG for only $29.95! 200mL 6MG for only $24.95! *While we promise variety, there is a chance for select juice in this bundle to be repeated. *Fire Sale bundles are a mystery and included juice cannot be exchanged or refunded. *All sales of the Fire Sale Bundle are final.